It’s been a busy academic year. The fall term was quite intense with 5 courses. This term felt like “all Aquinas, all the time”, but it had a much more enjoyable pace – at least, until the last few weeks! One of the greatest joys in my life this past semester (besides our Risen Lord of course!) were my friends at Regis, Sarah, Lauren, Abbey, Amy and Erica. They are part of a group of students at Regis that played their respective part in making my semester far more enjoyable than it should have been! This group, which is affectionately known as the Theobuds (and is far bigger than just us), really has been one of the great highlights of my year at Regis. This group has been instrumental in helping me understand what my own future ministry in the Society could be. I’ve been influenced by this group in more than one way; although I am easily influenced. If you show a lot of passion for a music band, philosophy, food item, TV show, and you show me why you are so passionate about it, then you’ll gain not only my respect, but my curiosity. One of the Theobuds, Sarah, is one of those people. She is quite passionate about music. Mumford and Sons and Gotye are two artists she’s introduced me to this year. She is also a big fan of a TV show that I was slowly tuning to anyways: Doctor Who. This British science fiction show first aired in 1962, and was on the air until the late 80’s. Then it stopped. It briefly appeared again in 1996, and then it was brought back to television in 2005 with a whole new incarnation of it. Being true to my nature, I began watching the very old episodes, the ones dating back to the early 60’s. I decided I was going to make my way through 30 years worth of episodes slowly but surely! 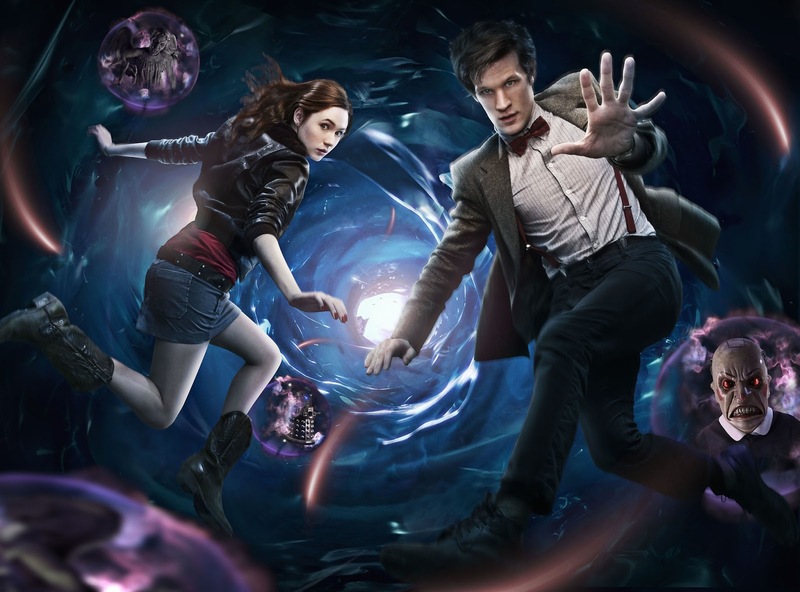 When I first encountered Doctor Who, I was attracted by the concept behind the show. A time Lord – a time-traveling, alien explorer. The Doctor belongs to a race of people who make it their job to travel through time and space to help out people in need, as long as they do not change the course of history too much. Still, I wasn’t too enthused by it. It was a good show, it made for a nice study break. That was it. Nothing compelling about it. Then last semester, Sarah insisted that I must start watching the second generation of Doctor Who episodes. I was very reluctant. Ironically, the first 2005 episode I ever watched, was on Christmas Eve. I say ironically, because this show, more than any I’ve seen in my entire life, does incredible Christmas Specials, as I think I finally learned once and for all recently, as I watched the 2010 Episode, A Christmas Carol. It was simply breathtaking, hilarious, yet sad. To me, this points to one very interesting element of this show: it is in not particularly Christological. The writers deal with religious themes rather immaturely. The character of the Doctor doesn’t seem to respond to religion very well. And yet, this incarnation of the Doctor hates violence. He’s forgiving, and he has not one, but two big hearts. In general, he has tremendous faith and admiration for humanity. The result is that while religion is never immediately brought into the picture there a lot of miracles in this show. There are moments of mystery, of sheer beauty that transcend all the reason and logic that drives our secular age. This also points to one characteristic about the modern Doctors that I quite like (I say Doctors plural: they regenerate, so different actors play the same characters. There have been three actors play him since 2005, and eleven actors in the history of the show! Always the same character but just played differently! ): Time Lords understand and know more about history and the world than most of us would. Some of the old Doctors were rather arrogant about that, and were dismissive of things like religion. I feel this generation of Doctors have all had this wonderful awe at the whole spectrum of human experience. Their attitude towards “human stories” is one of loving acceptance, and of childlike admiration of this species that just carries so much hope in it. This is very true especially around Christmas. Doctor Who is not overtly Christian, but the subtext of the show truly is. Maybe this is why I’ve derived so much joy from watching it this year and I am looking forward towards watching more episodes.